The installation went like a dream I have to say, possibly the easiest distro install I think I’ve ever done, it really was good. I booted up the CD and immediately saw an Nvidia splash screen and I was prompted to choose which 3D desktop I wanted, Matisse or Compiz Fusion. 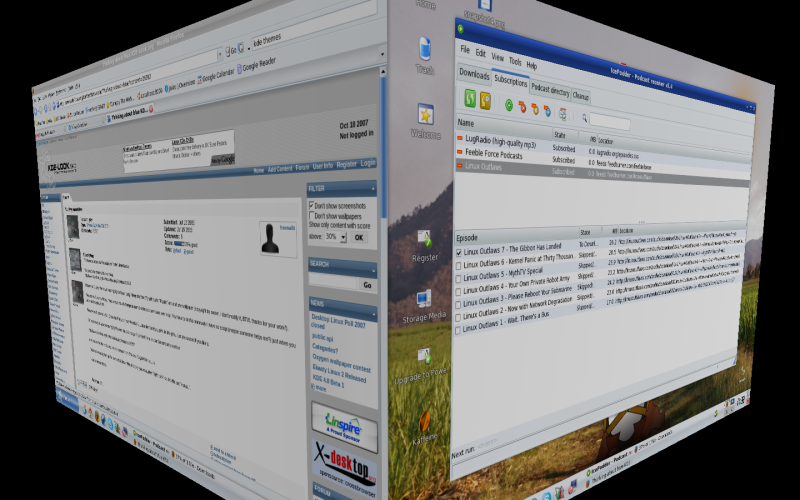 I just clicked Compiz Fusion and within minutes I had the desktop up with full 3D effects. Very impressive indeed. The install was easy and the instructions were good, I think even a novice could feel confident doing it. After about 15mins the system was fully installed and I was ready to reboot. One thing I did find strange though was the final install screen, it didn’t give me a reboot button or anything on the prompt. I had to close the installer and then log out of KDE myself, only then did it spit the CD out. Nothing difficult or major but it seems a strange oversight for such a great user friendly installer to miss the final touch. On first booting the new system I was given all the usual “sign up for our services” and “register this product” prompts which is one thing I’m not so keen on with Mandriva but they have to make a living and I can understand that. Besides, it wasn’t as intrusive as the usual Microsoft hard sell. I managed to avoid signing up for anything and moved on. I was greeted by the standard KDE desktop I would say with a Mandriva wallpaper and 3D effects enabled. I’m not a huge fan of KDE as I’ve mentioned before but it wasn’t a barrier to using the system, Gnome isn’t on the install CD just because of space limitations really. I could have downloaded and installed it but I wanted to keep the experience as authentic as possible. I had all the KDE programs you would expect at my disposal: Amarok, OpenOffice, Firefox, Kmail etc. So I decided to see how easy it would be to add the additional software I like to use by clicking the “Install & Remove Software” option on the system menu. I found I was prompted to choose between update libraries and “distro sources” and I just clicked update libraries at first. This turned out to be a mistake as I couldn’t seem to find any software when I searched. So I went into the settings and chose “distro sources”, this immediately fixed the problem and I was installing like a mad man in no time. I installed my usual round of required apps, all by just searching for them in the text field and ticking the ones I wanted. It was very similar to using “Add / Remove” in Ubuntu. Next I visited the Skype website and downloaded the RPM package from there, double-clicked it and the package manager fixed all dependency problems, then did it’s thing. There was no hassle and I have to say when you’re having a busy week, no hassle is just what you want 🙂 I decided to try opening some music files in Amarok and it worked fine, no need to install codecs or anything to play my music. I also opened up some video files which launched the Kaffine video player, not a program I like as much as Totem in Gnome, to it’s credit though the videos just played. They were Xvid encoded too so it obviously had all the required codecs which was great. I was pretty comfortable on Mandriva I have to say, so much so that I was happy to stay an extra day or two while I was busy doing other stuff. I used Ktorrent to download some of my regular TV shows and also burned off a copy of Ubuntu 7.10 Gutsy Gibbon on the day it came out. I did have a few little problems with Mandriva and in the interests of balance I should give them some coverage. The first problem I had was a crash when I left the machine for a few minutes and the screen saver kicked in. When I returned to the machine there was a picture up from the screen saver but I couldn’t get it to respond with either the mouse or keyboard, it was just frozen. I had to use the power button to force a reboot but I disabled the screen saver and didn’t see the problem again. The other problem I had was writing to my external NTFS hard disk. I expected this to just work as it does in most distributions now that NTFS-3G is out of beta, I had to go into the software manager and install all the NTFS tools I could find to get this working, it was a little involved. I was surprised as everything else had been so easy but I managed to fix it. 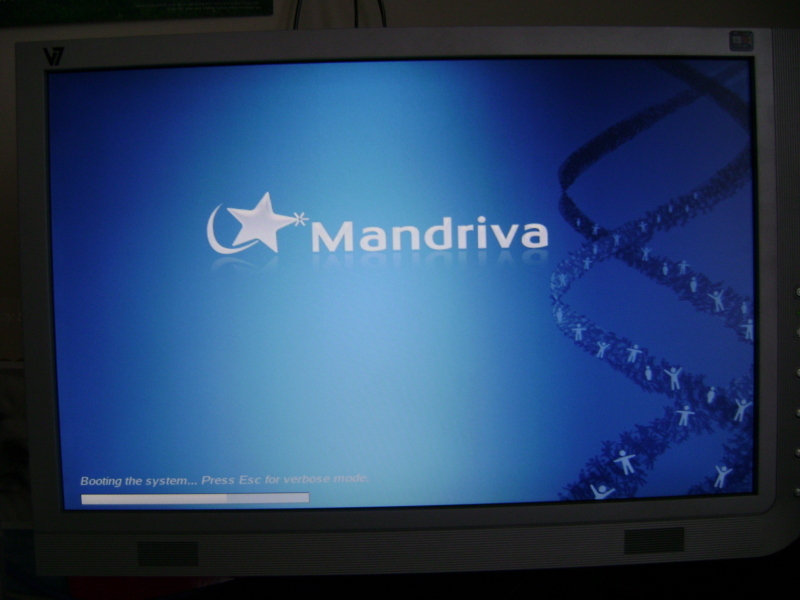 As you will probably have detected from the tone of this review, I really liked Mandriva 2008 and it impressed me with the easy install. Things like setting up the 3D desktop and installing drivers were just done, I didn’t even have to think about it and it would be great to see all other distributions do this. There are legal issues with restricted drivers and formats obviously but I think it can be done. Mandrake always had a reputation for being a great beginners distribution and it seems Ubuntu has stolen a little bit of it’s thunder in recent times, based on this experience though I would happily recommend this to any new user. I still love Ubuntu and will continue to use it personally but I would have no problems in handing a CD of Mandriva to a novice and leaving them to it, the install is probably easier than even Ubuntu… but whisper that quietly or the Ubuntu geeks will disown me 😉 I would be really interested to see what the commercial Powerpack version of Mandriva 2008 is like, I suspect even the few problems I encountered might not be an issue with that. I’d heard rumours that this was the best Mandriva release in years and I can confirm it really is great. Credit where it’s due Mandriva have stepped up to the plate here after some difficult years, it’ll be interesting to see if they can win back some of the users who’ve gone over to Ubuntu. Time will tell. I downloaded the Gnome live version and everything just worked. Flawless and seamless. If any distro can claim to be an ‘out of the box distro’ it’s this one. Set up my repositories at Easy Urpmi, http://easyurpmi.zarb.org/ tons of software, free and non-free. This proves that Ubuntu is 100 times as popular as RedHat. Do you buy that too? I don’t put much stock in the Distrowatch stats and as you say they are not that accurate but the fact remains a lot of people use them for some reason and all I did was reference the fact that PCLinuxOS has a high position there. I found it very buggy. The problem u say about log off to restart happens to me too and it happen when u have 3D active and since Pclos its based on Mandrake I found that problem too. The two distros Mandrive and Pclos are good to beginners in terms of simplicity but not when things didn’t work, like ati cards problems, programs not launching and many crashes. That’s my experience on both. Ubuntu just works for me and it was my latest choice. Whoops, couple other comments – the screensaver hang bug is a genuine known bug, unfortunately. It only happens with Compiz. It’s detailed, with workarounds, in the Errata – http://wiki.mandriva.com/en/Releases/Mandriva/2008.0/Errata#System_hangs_when_the_default_screen_saver_is_active_and_Compiz_Fusion_is_in_use . it’ll be really fixed for all future releases. As digitalhobo noted, there’s a GNOME version of the One edition too (we got it out a few days after the initial KDE version) and installing GNOME on Mandriva isn’t really any less ‘authentic’ than installing KDE, we’re a desktop agnostic distro (personally I only use GNOME). Wow that’s great thank you for all the information Adam 🙂 I did find the Gnome version of the One CD after searching around a bit I got a torrent file, there doesn’t seem to be an option to download the Gnome version on the main download page. At least not the last time I looked a couple of days ago and I wrongly assumed you were focusing on KDE. I wasn’t worried about the screen saver problem really as I always disable screen savers on my systems anyway and I fixed NTFS writing easily enough. I do understand why you have all the survey stuff and as I said I respect that what you guys do in making Mandriva costs money and you have to pay your bills like everyone else. I think selling the USB sticks with Mandriva isntalled is a great idea by the way. I installed Mandriva Linux 2008 (KDE edition off course) a few days ago and I’m very impressed. The installation was quick and simple, it starts up fast and everything just works out of the box. 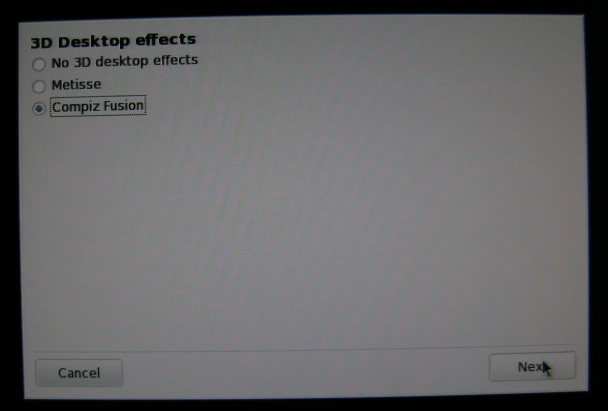 Compiz Fusion was very simple to enable, just a few clicks. Support for all video and music formats is also there right from the start. Even Kubuntu doesn’t work so well out of the box. And Mandriva Control Center utilities are just the best I have seen to date for configuring your system. Mandriva 2008 has now definitely become my first recommendation for users new to Linux and even computers. As for the DistroWatch stats, it is funny. When Ubuntu was climbing everyone loved to quote them, and now that another distribution is overtaking Ubuntu there, these same stats suddenly become unimportant. It’s not that we want to focus on KDE, it’s just that we wanted to make the new download page as simple as possible. We wanted it to be as close as possible to “click the big download button, download”. Adding extra versions and explaining them makes things more complex. So yeah, unfortunately this means the GNOME version is a bit harder to find (it’s actually available from the download page with one extra click – it’s on the torrent page that’s mentioned on the download page – but it doesn’t *tell* you this). But this is more a consequence of trying to keep the page simple than a statement that GNOME is less important or less supported. I fully agree to the others. I’m very, very impressed with this 2008 release. It’s the best OS have ever seen. It’s a complete product. Your team have done such a great job. Thanks! Well written dude.. Mandriva is the best Linux distro i have ever used. MCC in mandriva is really cool. Its the easiest distro for new users. Funny, I have been doing a similar thing. Trying different distros just to see what I like and don’t. I started with Ubuntu back during the Breezy Badger days. I have run PCLinux, SAM (PCLOS xfce version) and Mandriva 08 and Puppy. Most of these I have really just messed around with. My overall impression from the past few years is that Mandriva 08 is the most complete desktop solution I’ve found. It is definitely the easiest to set up and configure. Ubuntu I have always thought was a pretty good Linux Distro, but the thing that takes UB from pretty good to great is the community. If you have a problem with something in Ubuntu, there is a 90% chance that someone else has already documented how to fix it. Other distros I have used, the forums and wiki’s seem rather sparse compared to the glut of information and hive of activity surrounding the Ubuntu pages. Yep I’d agree with that, I’ve never quite found the same amount of community help on other distros that I get in Ubuntu. Here’s why it happened: MDV supports both GLX and Native; also supports Gnome and KDE and Ice and several other WMs in concurrent use. This makes development/maintenance of their screensaver code way more difficult than Distros which support only one WM, or assume all-native-drivers all the time. They do a great job, but didn’t get this one handled in time. 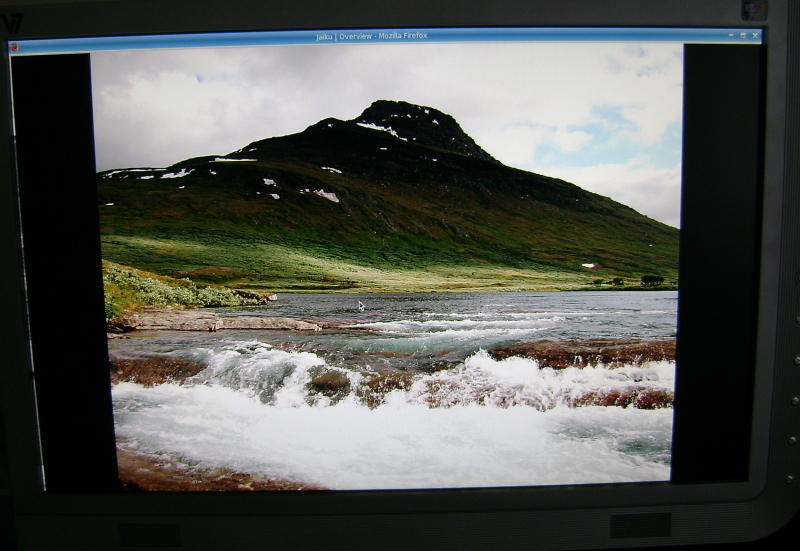 Kudos to this Author for using MDV 2008.0 enough to find the screensaver and NTFS-3g issues! Both have pretty easy workarounds. My use of automount within fstab causes an error each time I shut down, because the system tries to halt FUSE before unmounting the filesystem, but the error is harmless. The “problem” in the logs can be avoided by using “noauto” in fstab and explicitly mounting it a bit later, like in rc5.d. I frequently put “damaged” Windoze drives from other PCs into my Linux box to repair them, and ntfs-3g access is working beautifully for this purpose. The graphics are really nice and a cool-professional blue. (Big change, for the better, from the blaring Orange of 2007.1.) Next time I send out a bill, I’m taking a few $$ from my gross proceeds to become a contributor. Now that the Club” is free, I’m not sure exactly sure what to do. I have absolutely no need to download a 2008.0 “powerpack DVD”, although I do recommend it for others. (Saves some puttering around with the 586/686 kernel and Nvidia/ATI video drivers.) Adam? BTW, I usually use KDE, although the new GNOME is installed and pretty. I use emerald theme manager with Compiz-Fusion, it’s a separate download but the Mandriva Repos have everything you need or might want in this area. I must confess I only tried Mandriva in virtual machines, but it was enough to recommend it. It’s a beautifull and easy distro, despite using KDE as the default desktop manager. By the way, Firefox is not a KDE app. If I’m not mistaken, it uses GTK+2. I have the same problem with this review as virtually all the others. What can you really say about something as large as a Linux distro (with thousands of apps that may be installed on PC’s with a million or more hardware variations) thats useful in a few hundred words. Remove the usual comments about how easy the install was and the list of usual suspects regarding the main desktop and basic apps, and theres little left. Really all you can usefully say is what rev the kernel is, what desktops it comes with, and did it happen to work on your particular PC. Other than that its all just a lot of nothing. But your version of nothing is as good as all the rest. Hey dude, it’s a nice write up:) MDV2008.0 is by far the best release of Mandriva ever. By the way, I noticed that you’ve posted some install time screenshots taken using a camera. You can natively take the screenshots during the installation by pressing F2. Once you complete the installation, you can find the screenshots under the /root/DrakX-screenshots folder. Recently I have tried many of the top Linux distributions and PC Linux was so easy it lead me into trying Mandriva 2008 which is excellant for the newbie and experienced alike. Should other distros follow this example then many more users will migrate from Windows. Ubuntu 7.10, OpenSUSE 10.3 and FEDORA 7 are all good but still have hiccups. Mandriva 2008 seems to be smooth and well developed. Should I try Sabayon??? I downloaded SABAYON DVD version on Saturday evening and ran it Live on Sunday morning. Very pretty and my acid TV test with Kaffeine and Xine worked straight away. BBC News 24 was a no show with some codec needed. I then tried to load it onto the hard drive. It went well for half the installation and then froze. I tried again with different settings. It happened again. I binned it. I shall try another download this evening maybe the Mini CD version. We shall see the jury is still out on this one. Birky. Hmm sounds like it may have been a dodgy disc to me. Be sure to check the md5 sum of the downloaded image against the one on the server before burning. You might have done that already so apologies if so. Thanks for the info. I tried 1.1 Pro and it worked well. Love the colours but found it a bit fussy and have gone back to Mandriva. In 1956 my first car was a Ford and later in life I drove a Lexus. Ford 1956 is an acronym for Linux and Lexus an acronym for the Redmond product. Having said that the Ford was great fun. Keep well. I shall come back to your Blog every now and then to read your unbiased reports. Regards. Birky.